Q & A With Clayton South - September 2007. Clayton sorts out another list of questions relating to caloric restriction, training again after 10-years off, effects of creatine, L-Tyrosine, and building mass quickly. Read on to learn more! [ Q ] Recently I spoke to a PT who claims I should eat more to lose body fat. Is this true? His diet would have me eating approx 3000 cals per day. I have read so much that I should eat 500 cals less than my BMR, so 1450 per day. This isn&apos;t a doing a lot, even though I&apos;m eating the right foods - so I&apos;m confused. This PT is in great shape, so this makes me want to believe him, but I would appreciate another expert opinion. [ A ] It probably will not surprise you to learn that this question has been hotly debated for years by experts on both sides of the issue. Some experts claim that you must drastically reduce your caloric intake and perform extensive cardiovascular exercise once or several times daily to see effect, while other experts promote eating more calories and doing only moderate amounts of cardiovascular exercise. To add to the confusion, some experts couple their opinion on caloric intake for fat loss with the advice to do "slow" or "fast" cardiovascular exercise. To make it even worse, the same people usually either espouse high volume training or high intensity training - the popular HIT training made famous by Mike Mentzer and Dorian Yates. Either way, it can get pretty messy and confusing. Can Cardio Reallly Help You Lose Body Fat? In situations like this - when all of the experts are espousing different views on what nutritional methods and what exercise methods are best for getting the results that you want - you must see it for what it is: confusion. In this case, it is the human element that is creating the confusion, so you must eliminate it and instead go to an impartial source: science. When it comes to fat loss and calorie intake in general, the science is pretty clear: caloric restriction is not an effective method of triggering long-term fat loss. Experience has taught us time and again that a reduction in calories induces initial rapid weight loss, but weight loss stops quickly after several days. Unfortunately, as you continue to restrict your calories further (as called for by proponents of caloric restriction), you eventually hit a "wall" where you can no longer restrict calories and lose fat. In other words, you get stuck and your body stops - it refuses to shed any more fat. At the same time, you also lose a tremendous amount of muscle tissue, potentially making you "fatter" as a percentage of body composition than before you started. Then comes the "rebound" fat gain - courtesy of increased lipoprotein lipase concentrations. Lipoprotein lipase is a fat storing hormone that your body secretes in times of caloric restriction because it thinks it is being starved and must store calories and energy to ensure your survival. Basically, then, by restricting your calories it can be argued that you are teaching your body to be a better fat storing machine. [ Click here to learn more. ] Body Fat - What Exactly Is It? Fat is a tissue that is needed by the body for a wide variety of functions such as temperature regulation, shock absorption, etc. So how about eating more calories to lose fat? This is also a losing game. And simple mathematics show why: if you eat more calories than you burn, you will gain weight. And, in the presence of adequate protein and glucose, any calories ingested will be stored as body fat (with the exception of fiber which is indigestible and does not contribute to caloric intake values). It has somehow never occurred to experts on either side of the argument that the difference between a nutrition plan geared for muscle growth and one geared for fat loss is essentially minimal. I find this very surprising and incredibly sad. Here&apos;s the bottom line: you must intake a finite number of calories daily to ensure your survival. Further to this, and assuming that you are exercising, you must intake additional calories in direct proportion to your physical activity level in order to meet your increased caloric needs. When you intake these calories you have the option of consuming just enough calories to meet the needs of physical exercise and maintain your body in its present state, or you can intake slightly more calories than necessary in order to restore your body to its previous state and promote the training effect. The difference in calorie intake between these two options is minimal. So, what&apos;s the answer? Macronutrient ratios. The idea behind losing body fat is to become healthier and to show off your new found and hard-earned muscle tissue. So it stands to reason, then, that preserving his muscle tissue during the course of losing body fat is a must. This, logically, eliminates any action that would put this muscle tissue at risk of wasting. Therefore, caloric restriction is not a viable means for dropping body fat while preserving muscle tissue. On the other hand, intaking too many calories will put you at risk for gaining body fat and will shift your hormone state towards estrogen and muscle wasting. Therefore, the undeniable conclusion is that your caloric intake must remain the same - sufficient for maintaining your present body mass. Naturally, maintaining our present body mass can be achieved by altering your body composition - i.e. the ratio of body fat mass to lean muscle tissue. And, this is best done by altering your macronutrient intake - by giving your body what it needs to maintain muscle tissue while also using fat as a fuel source. The best way to do this is to maintain your caloric intake at a level that is above your BMR (as determined by your BMR plus additional caloric needs as a function of increased activity level), while increasing your protein intake and decreasing your carbohydrate and fat intake values. Enter your bodyfat percentage IF you know it. If not, leave it blank. Republished from http://www.tim-richardson.net/BodyForLife/analysis.html with permission. The goal here is not to increase or decrease your calories - simply to shift them around to favor and preserve muscle tissue while triggering your body to tap into existing fat stores for fuel. Naturally, you should eliminate simple sugars from your diet (with the exception being immediately after exercise) and slightly reduce your fat intake. Do this and reassign these calories to the number of calories that you intake daily from protein sources. Note, however, that your unique characteristics (body composition, metabolism, etc) will dictate the specific adjustments that you must make within this framework to get the results you want. My advice is to avoid anything extreme and find out what works for YOUR body. Educate yourself by reading up further on this, and if you want to know what works, simply follow the science. As for the advice of the trainer? Don&apos;t put much stock in what he says. The fact is, he will never know your body as well as you do, and while eating 3000 calories per day may not be extreme for him, it might be for you. The fact that he would miss this glaringly obvious fact and promote a blanket cookie cutter recommendation shows that he doesn&apos;t have the conceptual ability to make sound recommendations. [ Click here to learn more. ] Should Personal Trainers Be Dispensing Nutrition Advice? Who is the most educated when it comes to providing nutritional advice? Personal Trainers, Sport Nutritionists? [ Q ] I recently started training again after a ten-year break. I returned to a full time training schedule for roller derby, and now my muscles are suffering the consequences of those years of neglect. I&apos;m terribly sore and I can barely walk the day after a training session. Since I train every other day, I&apos;m in pain most of the time. My question is: will taking L-Lysine help my muscles recover? In a few weeks I expect to be back in my rhythm - maintaining rather than gaining - but I&apos;m ten years older this time around and I&apos;m not looking forward to a month or more of this intense pain. I&apos;d appreciate your answer, sincerely. [ A ] Getting back into the swing of things after a decade-long hiatus can teach you many new things about your body - mainly that it doesn&apos;t respond in the same ways as it once did when you were younger. And, of these two factors, your recovery efficiency is unquestionably the most important element that affects post-exercise muscle soreness. While it&apos;s obvious and straightforward that your physical conditioning has changed due to an increase in your age since you last lifted, the reduced efficiency of your recovery response is less apparent. To reflect the change in your athletic conditioning, you must reduce the intensity and frequency of your workout sessions until your body adapts - if you don&apos;t do this, you&apos;ll just end up injured, or unable to walk as you mention. In order to make progress, it is important that you do so very slowly and focus on correct exercise form. Increase the number of sets, reps and total weight that you lift, but do so incrementally, NOT exponentially. It&apos;s just a fact that an older bodybuilder can&apos;t train all-out in the same way that a younger bodybuilder can. Know this and respect your limits. When it comes to your exercise recovery response, it&apos;s important to understand that while exercise can damage tendons, joints and muscles (and does, with the most damage being muscular micro-trauma), post-exercise muscle soreness and DOMS - delayed onset muscle soreness - isn&apos;t reflective of muscular damage per se, but is instead reflective of the inflammatory response to exercise and the underlying efficiency of your recovery system. "I was wondering if you guys that have been doing squats for years are still debilitated afterwards for a couple of days." "I have been doing legs once a week for more than a year and I did a lot of hard mountain biking 3x/week for a whole year previous to that. Mountain biking never gave me DOMS." "I work as a Patrolmen and so I work long nights in and out of my patrol vehicle, up and down stairs, plus tonnes of walking and unfortunately sometimes running." In other words, while exercise can make your muscles sore, muscle soreness is more of an indicator of the inflammation response to exercise. As an older bodybuilder (10 years older than you were the last time you were body building), you can&apos;t recover as quickly and as efficiently as you once did, and this is a reflection of your reduced ability to mediate the inflammatory cascade that follows from exercise. In other words: your inflammatory response system is slower and less efficient due to your age. I wrote an article titled DOMS: Prevention and Treatment, where I discussed the research backing the benefits of enzyme supplementation. I highly recommend that you read this article and then click on the read visitor reviews link at the bottom of the article to read the message board postings following the article. [ Click here to learn more. ] DOMS: Prevention And Treatment. Delayed Onset Muscle Soreness (DOMS) is a serious and painful condition that affects every athlete. Learn more about DOMS, how it might effect you, etc. While I wasn&apos;t able to mention a particular enzyme by name due to FDA regulations on natural health products (under those regulations you can&apos;t actually say what any natural health product does) I can say here that the research shows that enzyme supplementation helps mediate the inflammatory response to exercise and promotes rapid and pain-free exercise recovery. In any event, be sure to go easy on your body and explore your supplement options. And, of course, be sure to eat right, drink plenty of water and avoid as much outside stress as possible. And one final word: don&apos;t expect to be back to your previous form within a week - it&apos;s not going to happen. You were 10 years younger then, and now your body is different. Work hard, be smart and stay injury free. I have read so many different stories concerning creatine (all forms) and possible side effects (creatinine) and frankly, I&apos;m confused. Because of the different stories I have read, I purchased Kre-Alkalyn powder and have noticed results with no difficulties. I am nearing the end of my supply and was wondering what your thoughts were concerning this issue? Also, I have a high stress job and was wondering what cortisol blocker you would recommend? [ A ] Thanks for your question. I&apos;m frequently asked about the differences between the various forms of creatine on the market and what my professional opinion is on what form is best. Not surprisingly, and considering the mountain of misinformation that is being pushed on the public by some proponents of Kre-Alkalyn, many people are confused about what form of creatine is best. Unfortunately, many bodybuilders do what you have done: they buy a product out of fear because they are afraid of making a bad purchase. View Kre-Alkalyn Products Sorted By Top Sellers Here. When it comes to my professional opinion and personal preference regarding what I deem to be the most efficient and effective form of creatine, creatine monohydrate wins hands down. As for my opinion regarding what I consider to be the best form of modified creatine, creatine ethyl ester wins hands down. [ Click here to learn more. ] Clayton&apos;s Health Facts: Creatine Ethyl Ester. Creatine Ethyl Ester - Absorbed Better Than Regular Creatine Monohydrate! There are, of course, a myriad of reasons upon which I base my conclusions, but I&apos;ve written about these before and space limitations prevent me from delving into the issue further. I direct you to my other writings on the issue for further details on my position. Let&apos;s talk about the so-called side effects that you mentioned: creatinine. Creatine critics in general and promoters of Kre-Alkalyn in particular attempt to make the case that regular creatine monohydrate supplementation may be harmful because it is known that creatine monohydrate supplementation increases creatinine levels within the body. These critics charge that creatinine is a toxic waste product and that elevated creatinine levels are indicative of kidney failure, as evidenced by the fact that doctors test for elevated creatinine levels in possible cases of kidney failure. According to their logic, then, elevated creatinine levels cause kidney failure, and therefore regular creatine monohydrate is unsafe. Needless to say, their argument is complete nonsense. The facts are these: creatinine is not a toxic waste product - it is a byproduct of creatine metabolism and elevated creatinine levels are no cause for alarm. When doctors screen for kidney failure they test for elevated creatinine levels as a marker - one of many possible indicators - that can indicate kidney malfunction. I&apos;ve read the great things about creatine. However, I&apos;ve come across this article which shows that creatine turns into a toxin in the body called creatinine. Does anybody have any insight as to why people take creatine if its proven to turn into a toxin once absorbed in the body? However, it does not logically follow that elevated creatinine levels cause kidney failure. In fact, the opposite is true: creatinine levels are elevated because kidneys are already failing, otherwise elevated creatinine levels could not be used as an indicator of kidney failure. The order is: kidneys fail, creatinine levels increase. It&apos;s that simple. To put things into perspective, subscribing to the "creatinine is toxic" argument is a little bit like saying that if chemotherapy treatment is used to combat certain forms of cancer, and if chemotherapy treatment causes hair loss, then all men without hair have or did have chemotherapy and cancer. As you can see, any reasonable person knows that while chemotherapy treatment can cause hair loss, not all men suffering from hair loss have undergone chemotherapy cancer treatment. Isn&apos;t it possible that some men are just bald naturally? The same reasoning applies for elevated creatinine levels that are used as an indicator of kidney failure - while increased creatinine levels can indicate kidney failure, elevated creatinine levels can just be indicative of creatine supplementation, or exceedingly high total creatine concentrations as a result of increased muscle mass. In either case, never buy something because you are afraid - especially if the person making you afraid is trying to sell you something that you wouldn&apos;t buy unless you were terrified. Never Buy Something Because You Are Afraid. So, my take on the situation is this: if you like Kre-Alkalyn, keep using it. Conversely, if you want to try some other form of creatine, do so. You&apos;ll find that a wide variety of modified creatine forms exist and produce great results. Do you research first, and you won&apos;t go wrong. Finally, vitamin C, glutamine and PS are great cortisol blockers that can make a big difference in the long run. Try them out to see which one works best for you. View Phosphatidyl Serine Products Sorted By Top Sellers Here. [ Q ] I was researching different ingredients and I ran a Google search for L-Tyrosine. I found an article on a transvestite website that said L-Tyrosine can give you gynocomastia. The article went on to mention that L-Tyrosine is used in bust enhancement supplements, which made me wonder: can L-Tyrosine give me gyno? [ A ] Although unusual, your question is interesting. Why, exactly, do many breast enhancement supplements for women contain L-tyrosine? The simple answer: for the "feel" factor. When consumers buy a product, they do so with the expectation that the product will work - i.e. that the product will deliver on its promises. In this case, the expected promise is that the breast enhancement product will increase the size of the female bust. Women who buy these products expect that because the product is effective, it will deliver results that they can see and feel. It&apos;s just a fact that people won&apos;t buy something they can&apos;t FEEL working - and they won&apos;t buy it again, especially if they can&apos;t see it producing any effect. Because the makers of these products know that their products simply don&apos;t work to enhance breast size - i.e. deliver results that you can SEE - they know that their only hope of getting repeat sales is to make a product that FEELS like it&apos;s doing something. They do this because they hope that although you won&apos;t see any results from taking the product, you&apos;ll feel something from it and possibly buy another bottle on this basis before giving up hope entirely. L-Tyrosine is the ideal ingredient for achieving this "feel factor" because it is a precursor to adrenaline and noradrenaline - adrenal hormones that dramatically increase your energy and focus - and dopamine - the neurotransmitter that increases alertness, focus and sense of well-being. 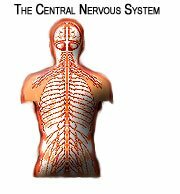 Additionally, L-Tyrosine stimulates your central nervous system. The bottom-line on breast enhancement pills is that they just don&apos;t work. And the bottom-line on l-tyrosine is that there&apos;s simply no research to back up the hypothesis that it plays a role in gynocomastia. View L-Tyrosine Products Sorted By Top Sellers Here. [ Q ] I am a New Zealand Figure Champion and like to read your articles, as they are always well researched. My question is: I&apos;m doing the NZ Nationals and want to build a lot of mass. I train hard, eat well and supplement with the usual protein powder, BCAA&apos;s, creatine and vitamins. I am not sure if I&apos;ve missed something, but in your opinion what can I do or take to give me 5kg (10lb) mass gain for the Nationals in 30 days. I know I&apos;m asking for a miracle! [ A ] I&apos;m glad that you realize that you&apos;re asking for a miracle - some people who send me questions are a little less informed and think that it&apos;s possible to gain 100lbs of muscle mass in one year! Let me first say this: you&apos;re not going to gain 10 pounds of lean muscle mass in 30 days naturally - especially as a woman with a hormone profile tilted in favor of estrogen. It&apos;s been my experience that bodybuilders look to dramatically increase their body weight immediately prior to a competition in order to "make weight" for their competitive weight class. Because you did not indicate otherwise, I&apos;m going to assume that this is why you want to increase your body mass so dramatically in such a short period of time. While you will not gain 10 pounds of lean muscle mass in time for competition, you can increase your total body weight temporarily by loading with carbohydrates immediately prior to competition. 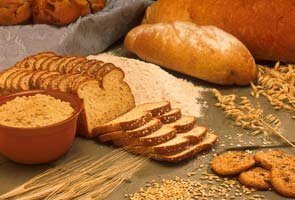 Carbohydrate loading aims to effect intramuscular glycogen stores. To get the best results from this method, gradually taper down your exercise about six days prior to the competition. This will require you to increase your calorie intake and may present some problems so close to the show. In other words, it may throw off your conditioning. But this might be a risk you&apos;ll have to take considering the large weight gain you want to achieve so close to stage time. During the first three days of this six-day period, intake about 50% of your total daily calories from carbohydrates. For the remaining three days, increase your total daily calories from carbohydrates to 70%. It&apos;s been found that this method is as effective as traditional carbohydrate loading methods at increasing intramuscular glycogen stores. I recommend this method because carbohydrate loading is effective at increasing intramuscular glycogen stores and intramuscular hydration. This makes your muscles big and hard and may also increase your body weight for the day of the show. [ Click here to learn more. ] Post Workout Basics - Optimizing Glycogen! When you workout, you deplete muscle glycogen. This primary fuel source needs to be increased after a workout to feed your muscles. In my view, there really is nothing else that you can safely do to increase your body mass so drastically within such a short period of time. Good luck. Robinson HM, Betton, H, Jackson AA. Free and Total Triiodothyronine and Thyroxine in Malnourished Jamaican Infants. The Effect of Diet on Plasma Levels of Thyroid Hormones, Insulin and Glucose during Recovery. Hum Nutr Clin Nutr 1985;39:245. The information provided in this publication is for educational and informational purposes only and does not serve as a replacement to care provided by your own personal health care team or physician. The author does not render or provide medical advice, and no individual should make any medical decisions or change their health behavior based on information provided here. Readers are encouraged to confirm the information contained herein with other sources. Readers and consumers should review the information in this publication carefully with their professional health care provider. The information in this or other publications authored by the writer is not intended to replace medical advice offered by physicians. Reliance on any information provided by the author is solely at your own risk. The author does not recommend or endorse any specific tests, products, medication, procedures, opinions, or other information that may be presented in the publication. The author does not control information, advertisements, content, and articles provided by discussed third-party information suppliers. Further, the author does not warrant or guarantee that the information contained in written publications, from him or any source is accurate or error-free. The author accepts no responsibility for materials contained in the publication that you may find offensive. You are solely responsible for viewing and/or using the material contained in the authored publications in compliance with the laws of your country of residence, and your personal conscience. The author will not be liable for any direct, indirect, consequential, special, exemplary, or other damages arising from the use of information contained in this or other publications. Copyright © Clayton South, 2007 All rights reserved. Without limiting the rights under copyright reserved above, no part of this publication may be reproduced, stored in or introduced into a retrieval system, or transmitted in any form, or by any means (electronic mechanical, photocopying, recording, or otherwise), without the prior written permission of the copyright holder and author of this publication.